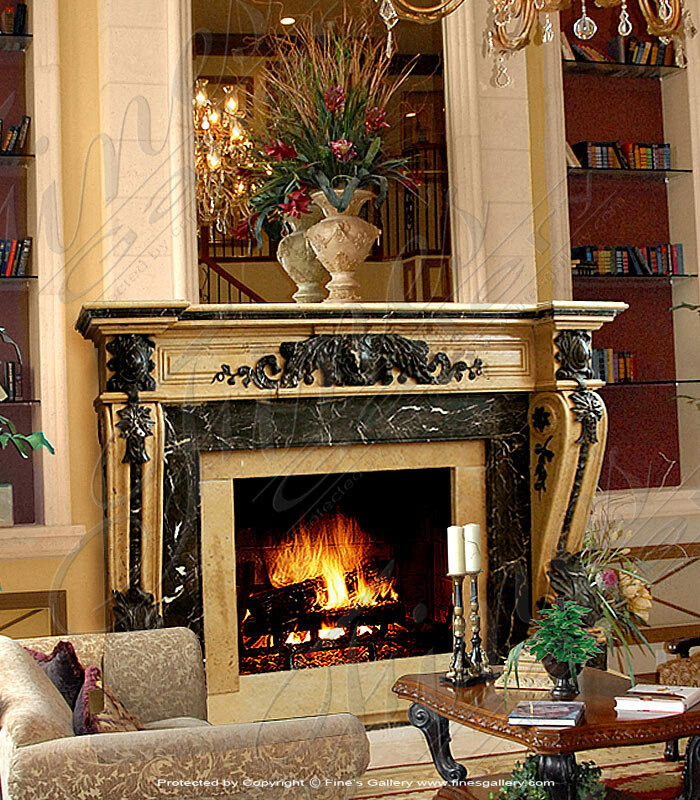 This impressive fireplace design will suit all your needs. 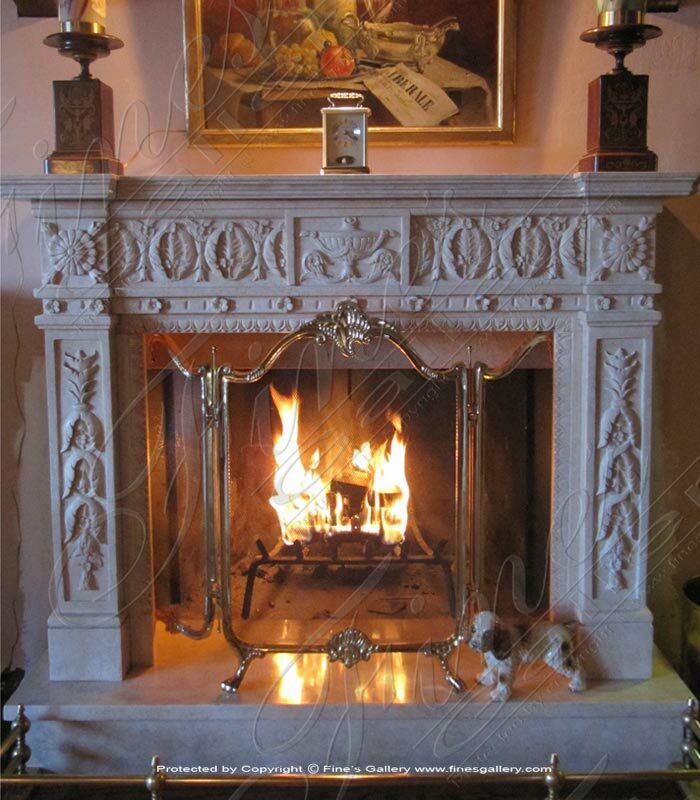 The classic square frame is embossed with finely detailed, hand-carved botanical ornaments, further enhanced by the natural tones within this gorgeous marble. Customization is available. 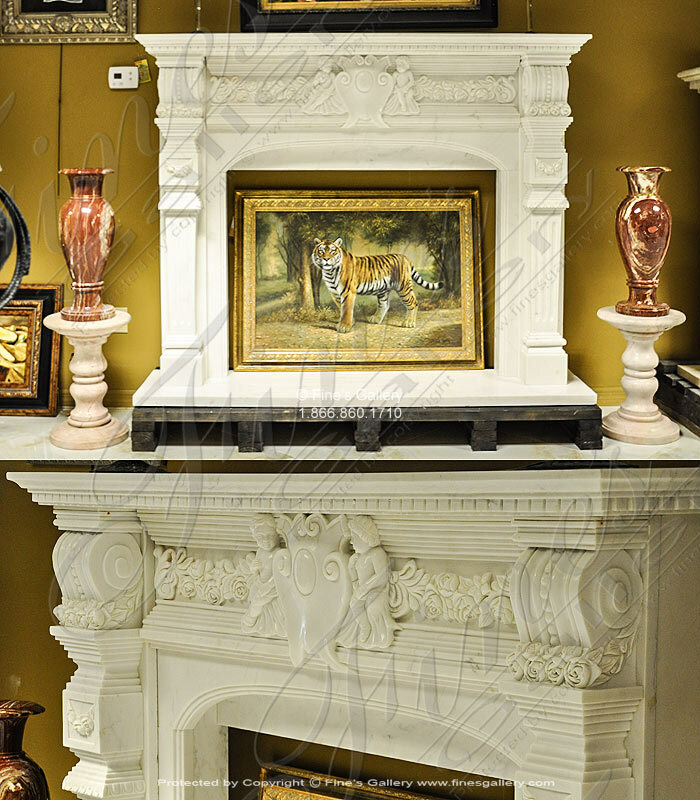 A beautiful surround with classic artwork and sophisticated grandeur. 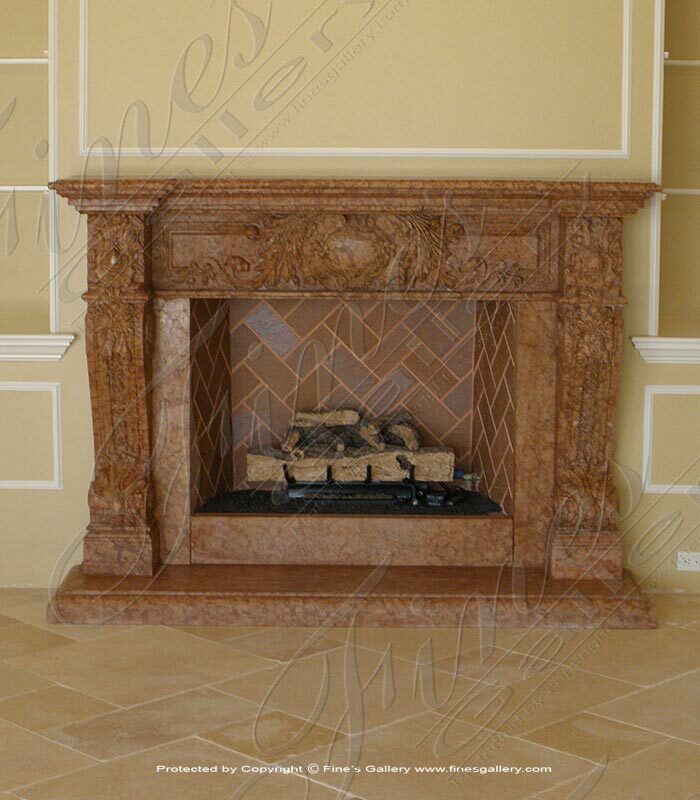 This gorgeous marble mantel is carved by our team of highly-skilled artisans with flawless detail. Contact us today to begin customization. 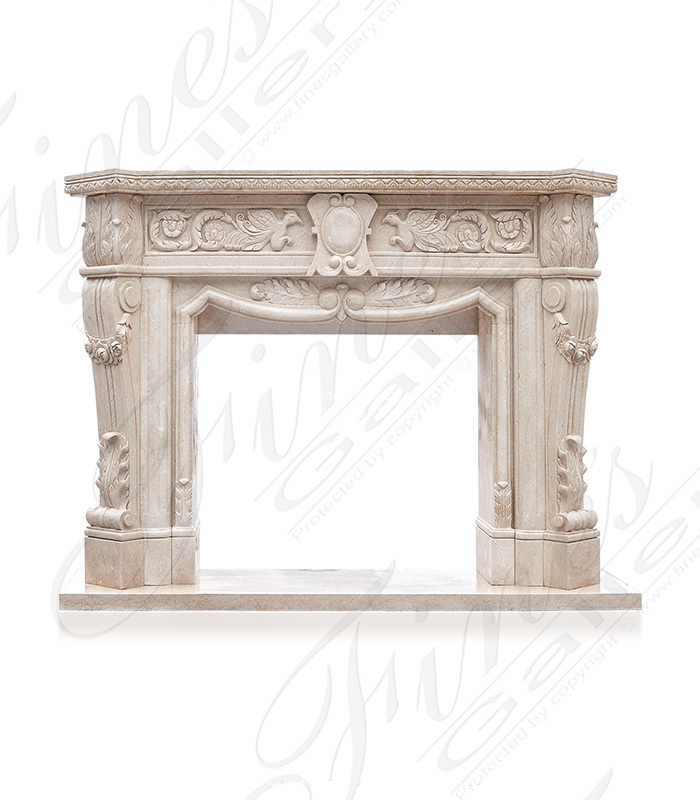 Elegant and regal, this fireplace is meticulously hand carved with a mythical fantasy wonderland complete with rosebuds and cupids. 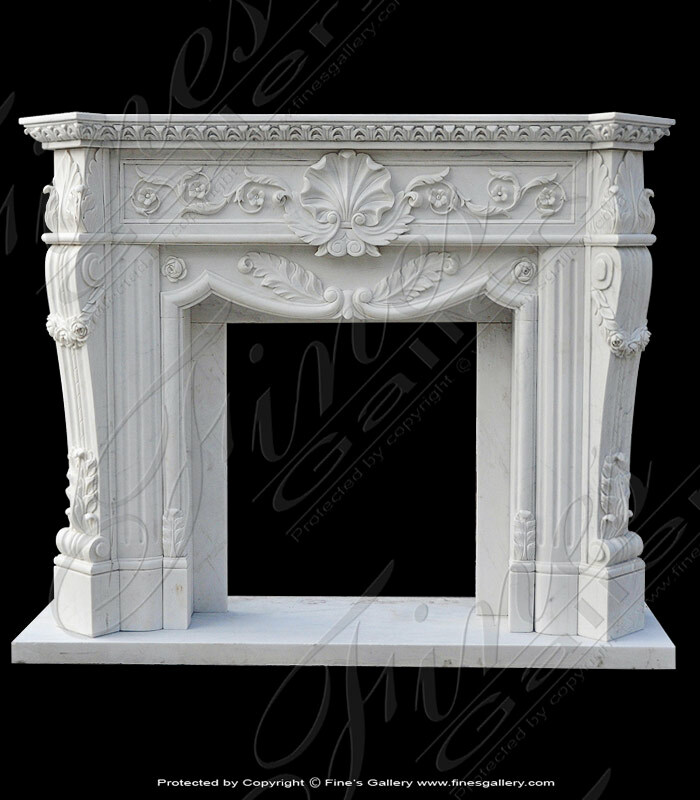 Stunning white marble shows off every graceful detail of this master dream piece. 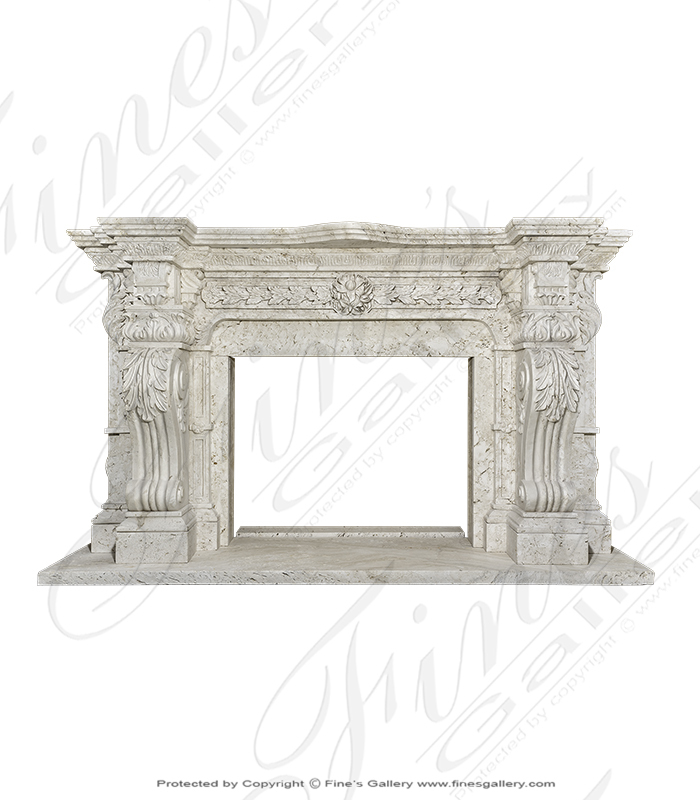 Hand carved with ornate detail, this sophisticated fireplace creates an atmosphere of luxury. Delicate floral elements, and lavish scrolled Acanthus leaf are elegantly displayed in white marble, while the design is accentuated with a contrasting marble. 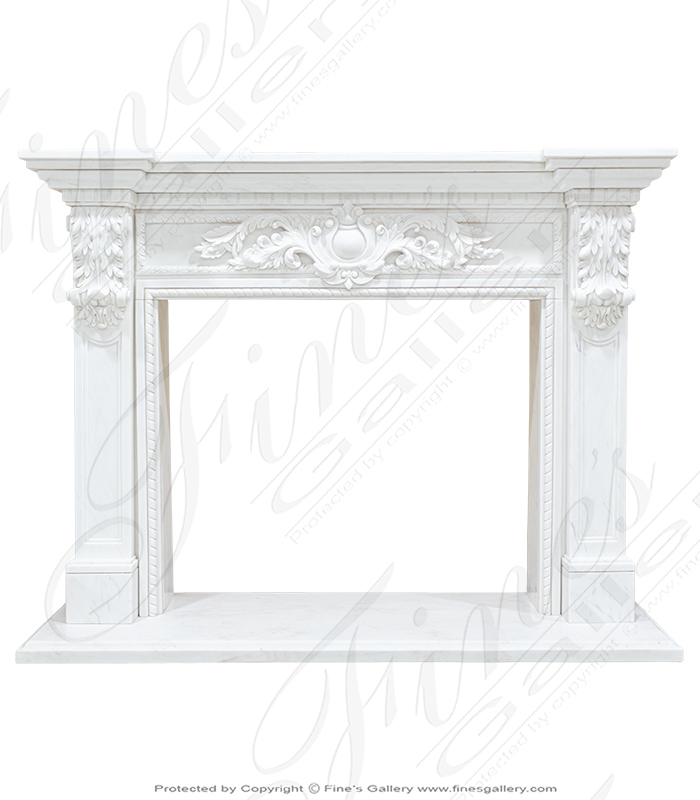 White Marble Italian Renaissance Fireplace Mantel. 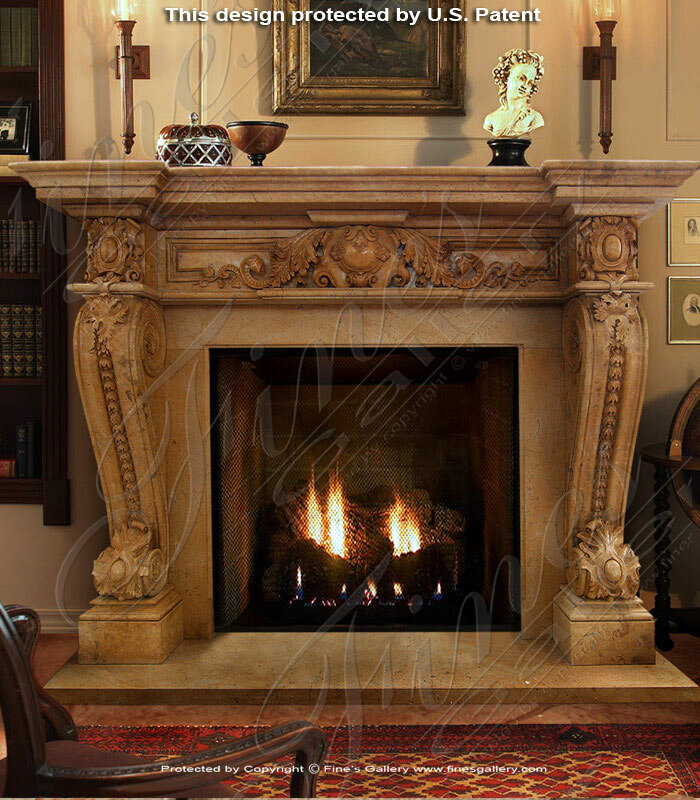 This ornate fireplace is fit for a room of elegance and enchantment. 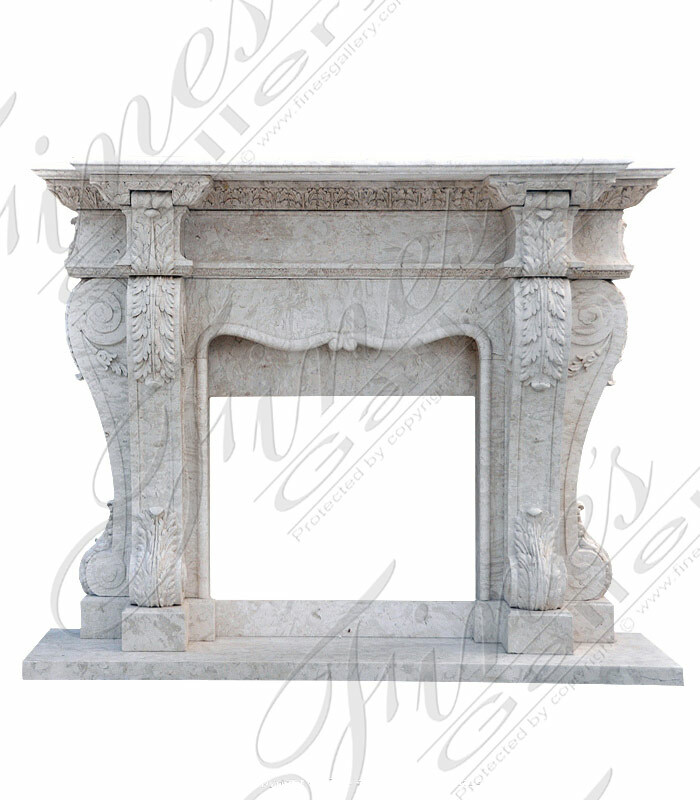 Gorgeous fine marble in white tones shows off every charming embellishment. 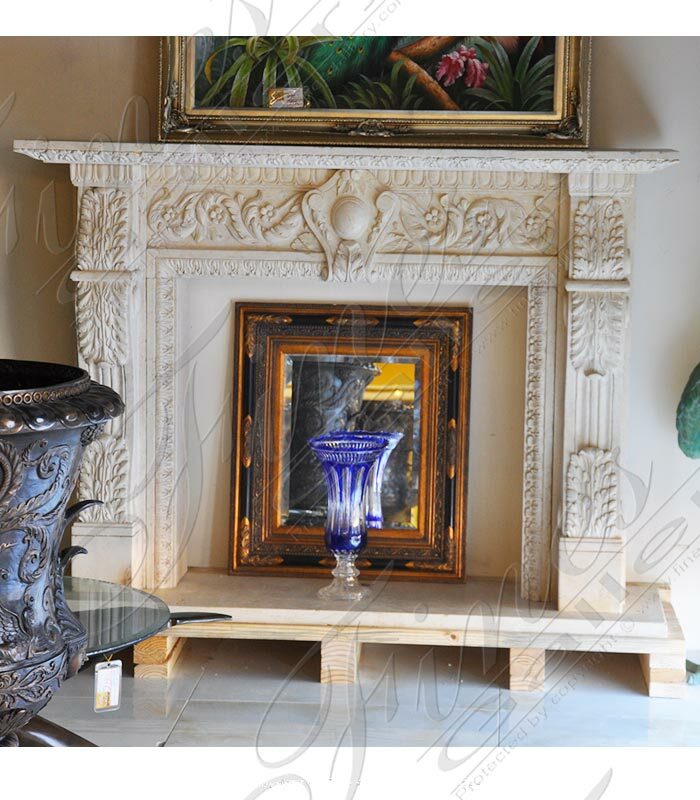 For an Antique style Italian Old World Charm. 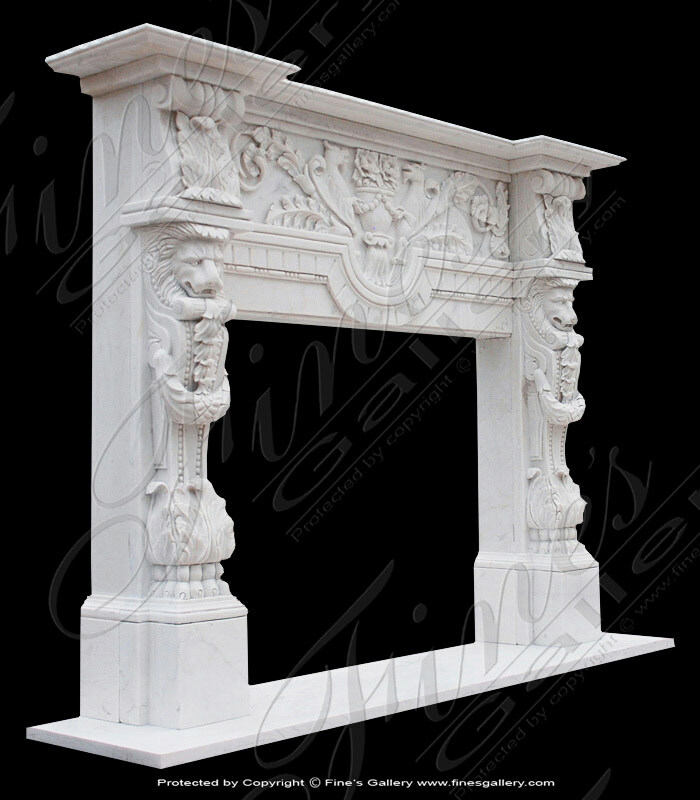 Hand carved from a stunning Bianco Perlino marble, this impressive sized mantel piece is scaled at almost 8 feet wide by over six feet tall. 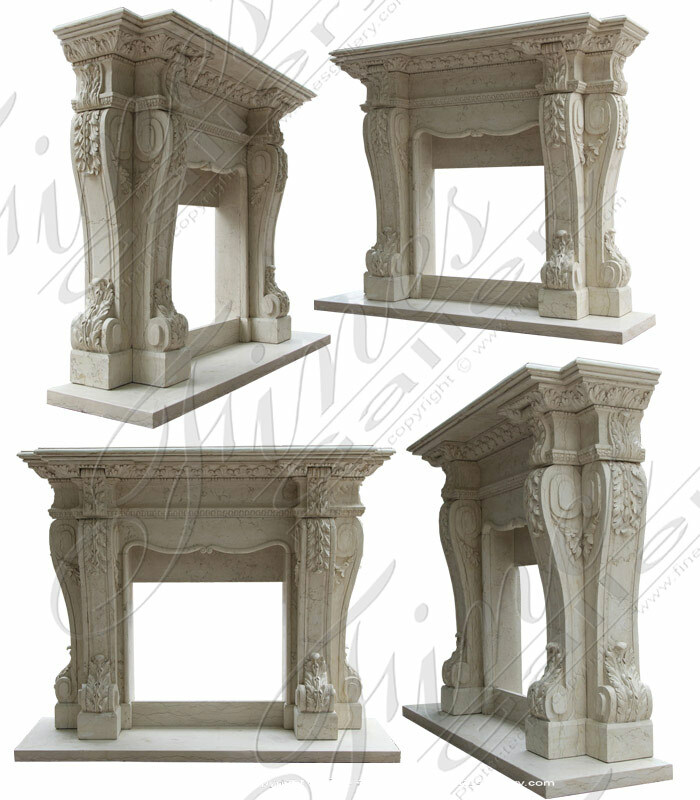 This beautiful marble fireplace leaves lasting impressions of elegance and luxury. 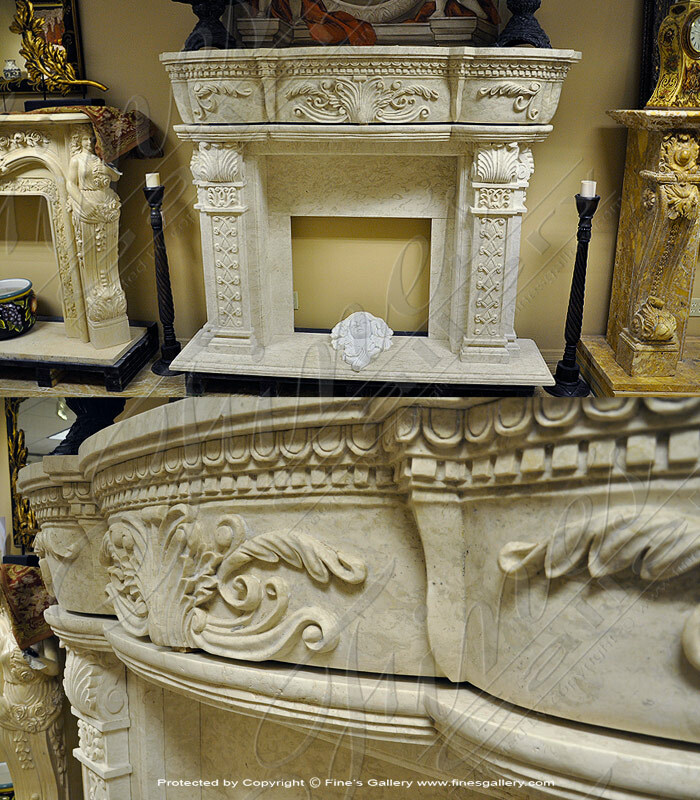 Finely hand carved with delicate care, its artistic detail and ornate design will add new inspiration to a favorite room. Contact us to begin customizing this piece today. 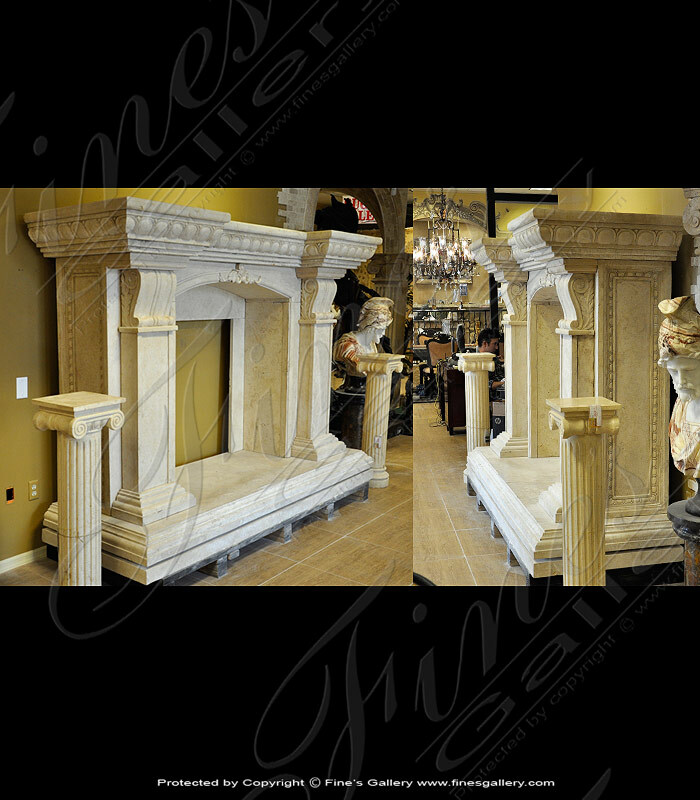 An over sized mantel with a very heavy ornately carved shelf. Carved from an imported marble. Perlato white Italian marble blocks available for a limited time only! 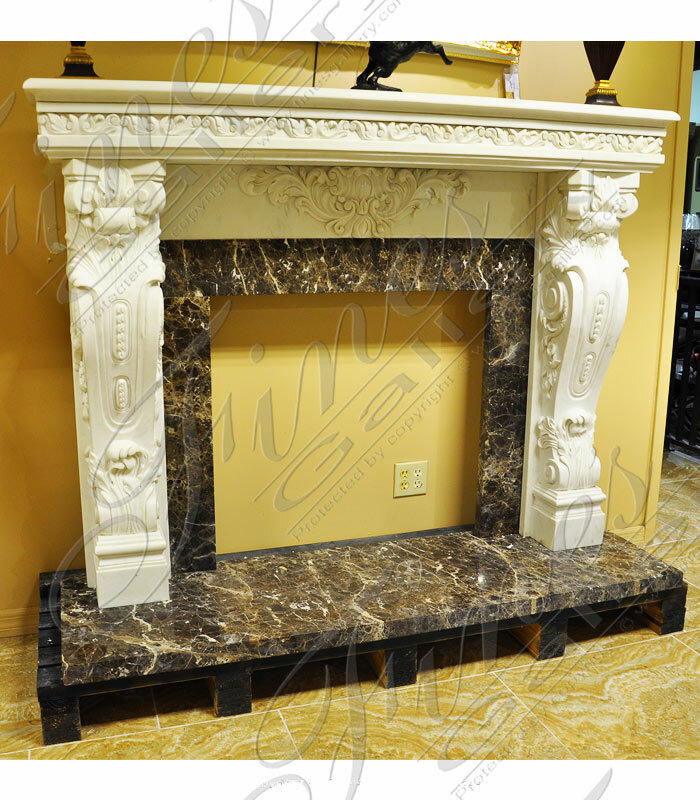 At almost 9 feet wide by 6 feet tall this very impressive sized light cream colored marble mantel is available for a limited time only. Contact a sales representative about ordering today. 1.866.860.1710.